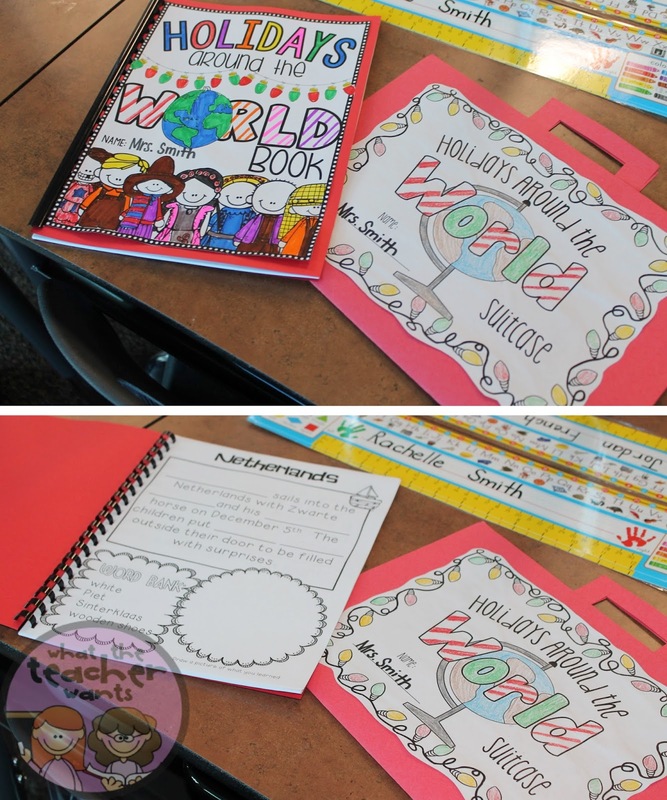 Each year I do my Holidays Around the World, I like to give you a sneak peek of what it looks like in my classroom. 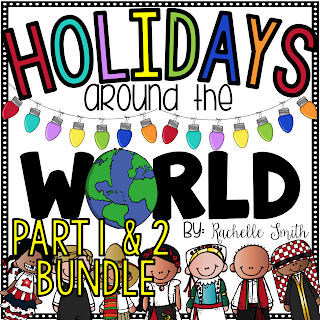 This year I will complete ALL 13 countries (available in my bundle)! Did you know I just updated this pack last week? It's new and improved for sure (with lots added). 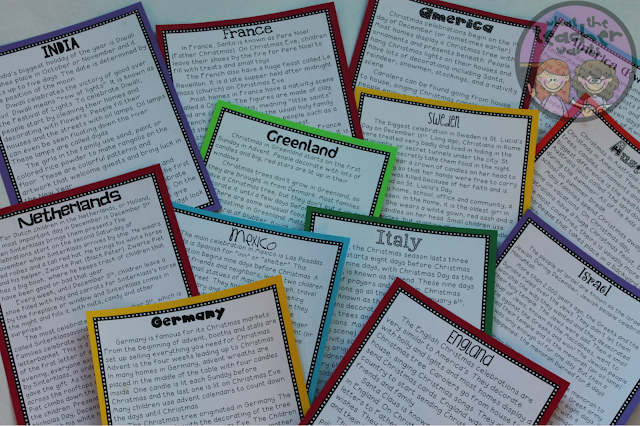 Something I wanted to add in my unit was a complete EXPERIENCE that the students get! Play the sound of an airplane taking off, dress like a flight attendant, pass out the in-flight snack, and fasten your seat-belts! 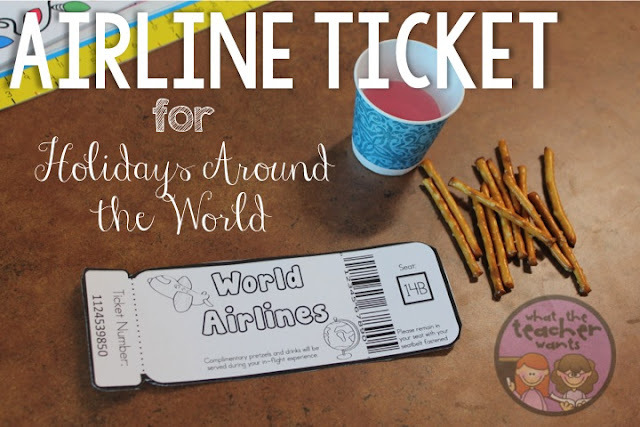 The WORLD AIRLINES will take off in 3, 2, 1. 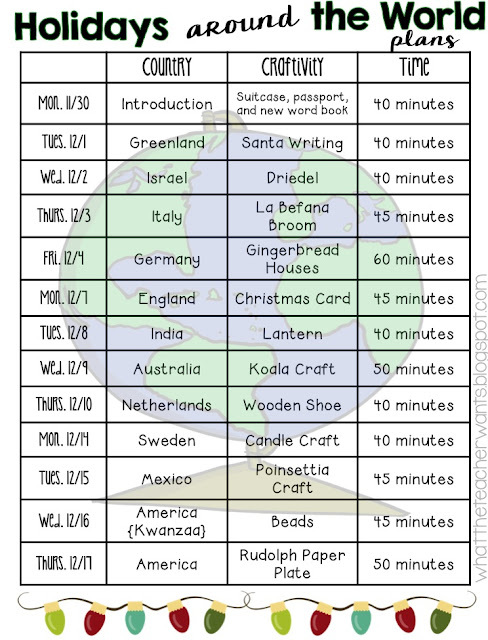 This lesson plan template is also available in my pack! These informational reading passages are EVERYTHING! It's nice to have all of the key points right there on one sheet of paper. SHOUT OUT to my friend Carly who helped me! Remember, in my pack, there is such a variety that each year you can change it up! 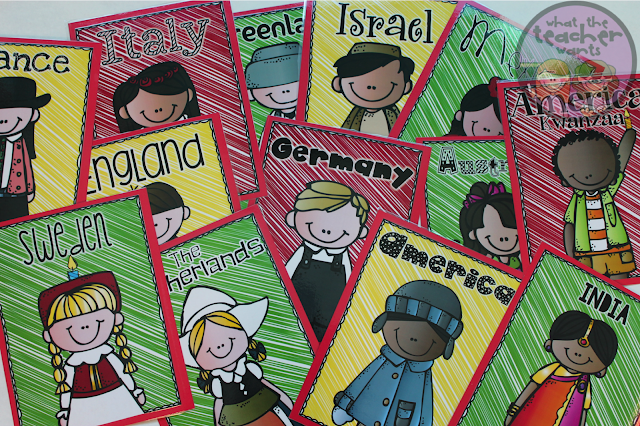 You don't have to do all of the countries each year. The wonderful part about being the boss of applesauce is that you decided. 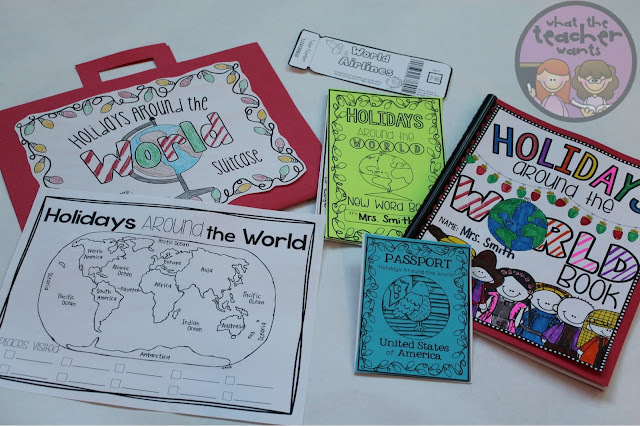 With my new update of my pack this year, I've included more writing components and supplementals. It's JAM PACKED! 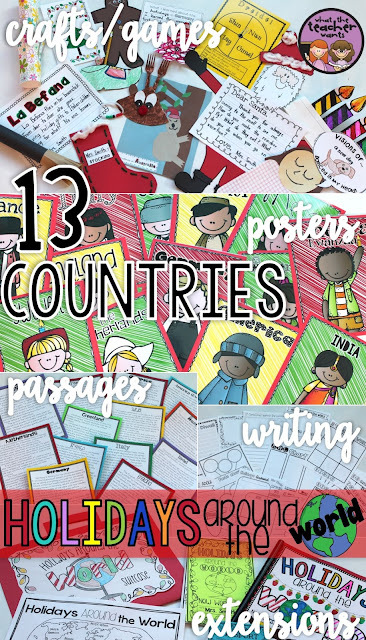 Each country also has a reading passage to go with it so you can stop googling each country right before you "teach" it to your students (I'm talking to you Carly, hahah). 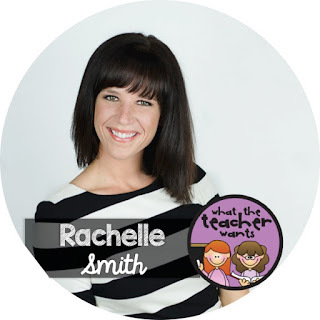 I've also included links to websites and books.... so I have pretty much done all the work for you. You're welcome. Kidding!!! ;) Kind of. Ok, ready to take a look? The best deal is the BUNDLED pack (which includes 13 countries). Or you can break it up and buy JUST Part 1 or JUST Part 2. 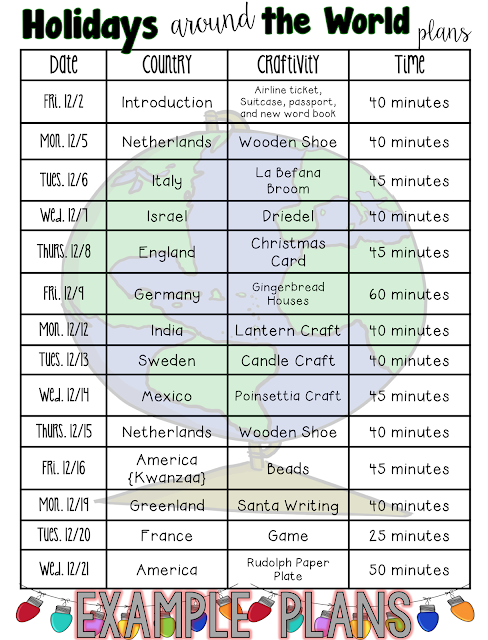 I've made it a tradition each year to show you an outline of my plans for Holidays Around the World in my classroom. This is the first year that I'm doing ALL of the countries! EEK! I'm excited! I know to always give myself more time than I think I need because we somehow fall behind. 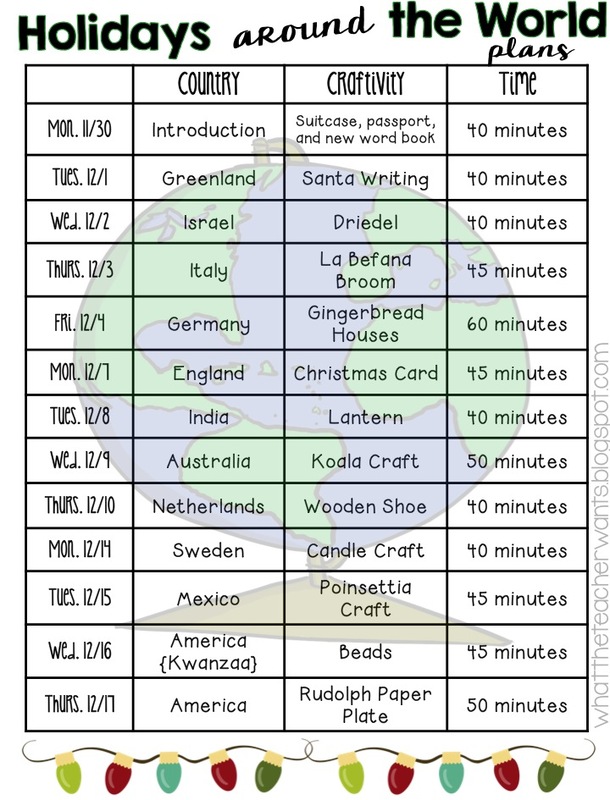 That's why I don't do any countries on Fridays (except when we do Gingerbread Houses for Germany). That way, I can catch up on anything I want on Friday.